The duration of the surface of any floor mainly depends on its usage and maintenance. The daily maintenance of porcelain floor should be done with water and a soft neutral cleaning detergent. Avoid using cleaning products without knowing their chemical composition and never use acid based cleaning detergents or its derivatives. The technical characteristics of a porcelain floor assure you that it is a floor relatively easy to maintain and take care of. It is important that the cleaning detergents are not oil based, greasy or soapy of any kind. These components may leave invisible particles that may trap dirtiness. After the cleaning process is completed, it is highly recommended to wash the tiles with clean water. 1. Take out all the trash from all the tiles by sweeping or using a vacuum cleaner. 2. Spilled fluids must be cleaned up as quickly as possible. 3. Always apply the correct diluted solution of cleaning detergent for the tiles. Let the tiles absorb the detergent only for a short period of time, no more than 5 minutes. 4. For porcelain tiles that do not need polishing, use a nylon sponge or a brush in order to clean them. If the floor is very dirty, try using a proper machine equipped with a sponge of brush in order to thoroughly clean the floor. 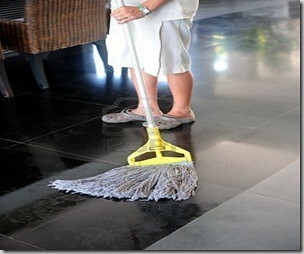 For polished tiles, you can undergo the cleaning process with a mop. 5. Get rid of the cleaning solution with water, with a vacuum cleaner or with a mop. It is absolutely essential that all the residues from the cleaning detergent are completely taken off from the tiles. Any residue that is left over can trap more dirtiness and it could be quite challenging to get rid of. The frequency and duration of any maintenance program depends on the characteristics and types of porcelain tiles. 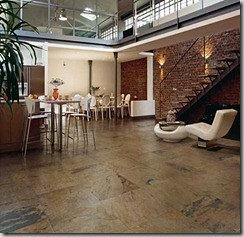 Since there three types: texture, polished or not polished; the cleaning process is different for each type of floor. 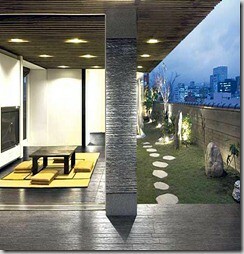 Set aside all the furniture from the living room to make it easier to clean the porcelain floor. Sweep the entire floor as the first step. 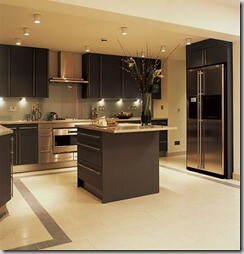 Secondly, take a bucket of hot water and add a whitening detergent and apply it to the floor. Let the solution applied on the floor but do not let it dry. Meanwhile you can work on the other areas of the floor by brushing it using a soft brush. Take a clean piece of cloth and clean the entire floors, once this process is completed, clean the entire floor with clean water using a mop. You can repeat this same process over and over again until all the stains have been removed. Use a dry mop to sweep the floor, it is not recommended to use an actual sweeper since it can damage the color of the tiles. Add a liter of cleaning detergent to a bucket of hot water and use a piece of cloth to clean the tiles. You can then use a dry piece of cloth to dry the floor and maintain its shininess. Repeat this same process as you see necessary. The cleaning process for this type of floor can be quite tedious since the dust and dirt gets accumulated within the texture of the floor itself. Begin sweeping the floor with a sweeper in all directions to collect all the dirtiness. A neutral detergent solution can be used to undergo the cleaning process. Use hot water while cleaning at all times, brush the floor using a hard brush and use napkins or paper towels to dry. Factors such as the incoming traffic of people walking on the floor, environmental conditions or the color of the floor should be considered while planning the maintenance of porcelain floors.